Microsoft has also had the reputation of being “slow to market” when incorporating emerging web standards into the Internet Explorer browser. One of the most important new standards is HTML5 support, which is lacking in IE8, but present in Firefox 3.6, Google Chrome and Safari 4. In addition to numerous new HTML tags being introduced with HTML5, the most talked-about feature is HTML5 video. The HTML <video> tag is reportedly poised to be a viable replacement for flash-based video. Naturally, Adobe (the maker’s of the Flash video plugin) are likely not happy about this. If you have been following the Apple-Adobe feud, you will also understand why HTML5 video support is so important. When Apple released the iPhone, they did NOT include Adobe Flash support in the mobile Safari browser. Even’s Apple’s latest product, the iPad, will not have Flash support. There’s a lot of speculation as to why Apple and Adobe are at-odds over Flash. But the HTML5 video tag potential solves the problem for millions of iPhone and future iPad users. And in case you’re wondering, the largest user of Flash video, Google’s own Youtube video site, offers users the option of viewing videos in a beta HTML5 environment, instead of the standard flash format. Not surprisingly, the 2 principal authors for the HTML5 spec work for Apple and Google. Now that Microsoft is finally stepping up their game, one still has to wonder if they are too late. Some users have become frustrated with Internet Explorer’s poor performance, numerous security holes, and lack of standards compliance. I, for one, have been using Firefox as my primary web browser for over a year now for just there reasons. I still use Internet Explorer from time to time, when I stumble across a site that simply doesn’t work right in Firefox (these are becoming increasingly rare), or when I must do so for compatibility testing on web sites we have developed. 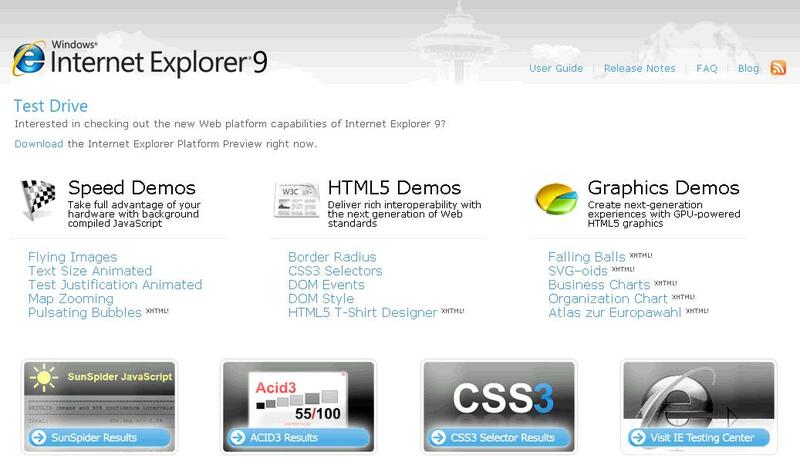 I can’t wait to see if Microsoft makes IE9 a true competitor to Firefox, Chrome and Safari. Because competition is always a good thing.